Touch Screen phones are all the rage – we know that. The iPhone has changed the landscape of smartphones -probably from this point forward. Even RIM has patented a touch screen device for the future! Our mission is to become the innovative supplier of mobile information and communication devices by providing value-added design, world-class manufacturing, and logistic and service capabilities. Founded in 1997, High Tech Computer Corp. (HTC) designs, manufactures and markets innovative, feature rich Smartphone and PDA Phone devices. Since its establishment, HTC has developed strong R and D capabilities, pioneered many new designs and product innovations, and launched state-of-the-art PDA Phones and Smartphones for mobile operators and distributors in Europe, the US, and Asia. 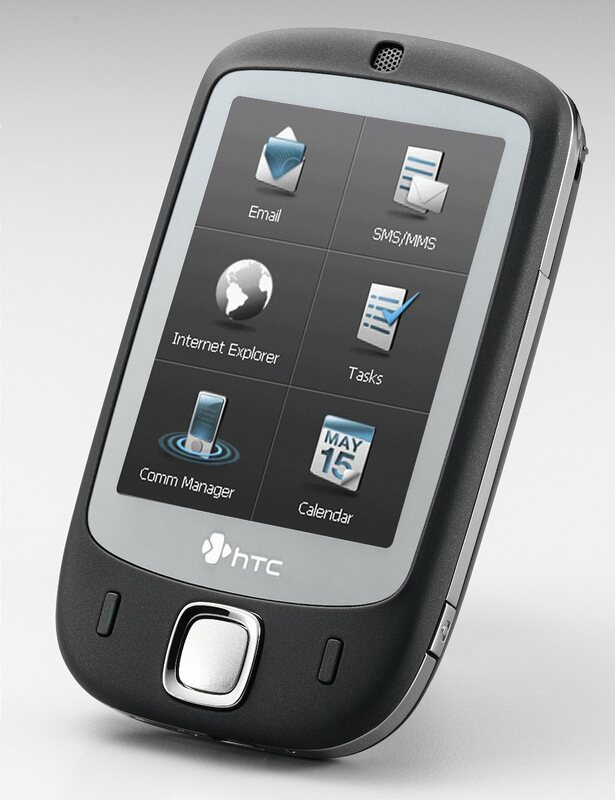 These machines are available as HTC devices and as products individually customized for operator and device partners. The HTC Touch is a first for the company. Don’t let anyone tell you that this is not a response to the iPhone – this is all about the iPhone and the consumer desire for a Touch interface. Companies will have to adapt and move from the ‘old school’ touch interface of Windows Mobile and Palm to a more consumer friendly and cool interface. The is what sets the Touch apart from other Windows Mobile Smartphones. Touch provides one-touch access to the tools you want to stay connected. Get free shipping and free activation when you purchase a phone with a new line of service online! For small business discounts, shop here. $249.00 at www.sprint.com after rebates and promotions. This enhancement allows customers to interact with the device using either their fingers or the included stylus. With an upward swipe of your finger, use the TouchFLO(tm) ‘cube’ to access entertainment, communication tools, and a ‘top 9 dial-by-picture’ screen. Navigate the menus with a sweep of your finger or thumb. Easily manage work and play with the versatile Touch. 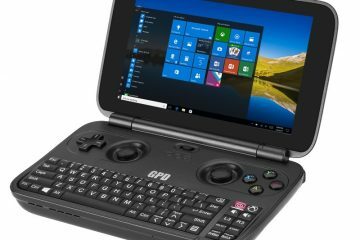 This go-anywhere Windows Mobile 6 device combines a smarter phone with wireless email, built-in web browser and rich media capabilities. Download stereo-quality tracks instantly to your wireless phone or PC. Choose songs from thousands of artists in virtually every genre, and listen wherever you go. Sprint Power Vision gives you fast and easy access to news, sports, weather, music, email, GPS and much more. Enjoy the network that gives you the power to watch live TV, instantly download songs to your phone and play multiplayer games all at broadband speeds. Watch live TV and video-on-demand with full-motion video and vivid sound. Catch the latest news, sports, weather, entertainment and movie trailers on the go. Capture high-resolution images with the digital camera and zoom. Create your own video clips and easily share them with family and friends. Enjoy the convenience of hands-free communication by using headsets, car-kits and other Bluetooth-compatible devices. * Stereo Bluetooth lets you listen to your music on the go or listen to your music using compatible accessories without wires. *Bluetooth wireless accessories are sold separately. Listen to R and B, hip-hop, country and rock, and access Sirius, Vh-1 and MTV to see the latest headlines and video clips of your favorite artists. Store data on the included 512MB removable memory card. Up to 4GB cards supported and available for purchase. 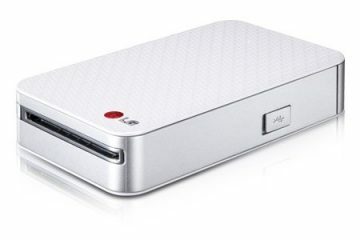 Use the included USB cable or Bluetooth Wireless technology to connect to a PC allowing Internet and email access. See and hear your favorite news, sports, and other fun content in real-time streaming video and audio, all at broadband-like speeds. 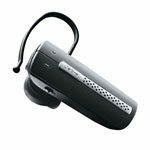 Play MP3, AAC, and AAC plus files everywhere you go with the 2.5 mm headset included. Download and listen to your favorite MP3 music files with the included stereo headset. Download exciting, interactive games that you’ll want to play all the time. With hundreds of options to choose from, it’s easy to find all your favorites. Retrieve customized up-to-date web content such as sports, weather, news, money and movie information with the push of a button. Send and receive IM and email from your phone. Join a Web-based topic group or chat privately. Instantly send and receive SMS text messages across the room or around the country. Features an embedded Global Positioning System (GPS). Chip necessary for utilizing the E911 emergency location services, where available. The HTC Touch really needs to be held to be understood This phone is small – really small. The dimensions are listed above – but you need to just put this in your hand. the screen takes up virtually the entire device. there is one main control button centered below the screen and two buttons – akin to Windows Mobile Soft Keys which also function as the ‘Green’ and ‘Red’ phone keys. On the Left hand side is a volume rocker switch – I generally prefer two buttons – one for up and down – but once I got the hang of the ‘rocker’ switch, it worked just fine. A convenience key on the right hand side is programmed to start the camera. A power button is on the top and mini-USB for charging and also the headphone adapter (why can’t they just include a 3.5 mm jack?) is on the bottom. That’s about it for ports and buttons. On the Back of the Touch is the 2.0 Mega Pixel camera and a self portrait mirror. 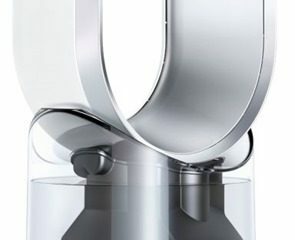 The beauty in the design of this device is in the screen and the body. The screen is a very bright and well designed 3 1/2′ display. 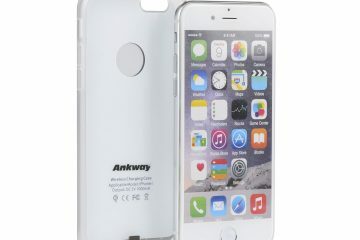 The case is an all rubberized feel – soft to the touch (no pun intended) design. The touch feels heavy and substantial in the hand. It also feels like it would hold up just fine if dropped – not that I tried that! What sets the Touch apart from all other Windows Mobile Phones is the Touch Flo Interface. When you turn the device on, the image you see is sort of a Windows Mobile shell. the Start button is in the upper left hand corner and you can take out the stylus (yes, I did say stylus) and tap it and start your programs in that manner. You can also touch the icon of the ‘Sun’ and get the weather or touch the ‘Home’ icon, the ‘Launcher Icon’ to launch programs or touch the Sound profile icon and make changes. This interface is clearly ‘on top of’ Windows Mobile, and depending on which icon you touch, the old Windows Mobile screens might load. Now, Swipe your finger from the bottom of the screen to the top – and now we are talking ‘Touch Flo.’ After the initial swipe, large, touchable icons appear for your contacts or the initiate a phone call. Tap the Phone button and then use your finger to dial on the screen. Now, swipe your finger sideways from right to left and a 3-D cube sort of ‘turns’ on the screen and six large buttons appear: Software Store, IM, Internet Explorer, SMS, Comm Manager and Mailbox. Tap one and you go once again to a Windows Mobile screen with that program. Want to leave the Windows Mobile screen and go back? Just Swipe from bottom to top again. One more swipe from right to left and you get three large boxes to tap – Sprint Music, Sprint TV and on Demand. Tap the corresponding box and you launch the Windows Mobile screen for that program. Does this sound like lots of tapping and moving from Windows Mobile to the Touch Flo Interface and back again? Well, it is. I have to admit that this was a little cumbersome at times – it was also fun at times. The interface definitely takes some getting used to. It is slick, the icons are nice – but, there is no hiding the fact that clunky old Windows Mobile is powering this device. No matter where you go, you will need to take out the stylus and hit the familiar ‘X’ button to close a program. As a phone, the Touch performed admirably. All necessary features are here – call waiting, call forwarding, conference calling, speed dial, etc. Call quality was generally good. Callers on the other end said we sounded good and calls were plenty loud and clear on my end. 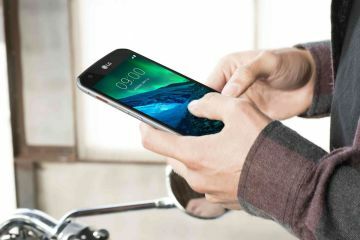 Calls could be initiated by simply pushing the ‘Green’ phone button and dialing on the screen or by using the Touch Flo and getting to the dial screen. This is where I found myself wanting a full keypad – too many taps to make the call. As a PDA, the Touch is about as good as any Windows Mobile phone. Let’s face it – Windows Mobile is clunky and slow. It can do plenty, sync with Exchange, store your contacts, keep your address book – share everything with Outlook – pretty much all you need. The biggest problem is inputting data. Touch Flo can only get you so far, and then you have to either take out the stylus or press very small buttons on the screen to type in your data.. The Touch does give you a generous amount of storage built in – so you can certainly store all your contacts, give them picture ID’s and organize them. One cool feature is the ‘Scroll’ feature through your contacts and messages. When you are in the right Touch Flo screen, you can scroll through things just like the iPhone. Swipe you finger and your contacts or email ‘roll’ down quickly – very cool – not necessarily functional – but very cool. This is one are where the Touch really blows the iPhone and most other phones, for that matter, out of the proverbial water. The Touch comes bundled with Sprint’s excellent Data package of Multi Media Content. Sprint TV, the Sprint Music Store, Sprint and Sirius Streaming Music, Vh-1 videos. The content is really overwhelming. Buying music at the Sprint Store is easy and reasonably priced. Once Music is on the Touch (either your own or bought from Sprint) it is very easy to organize playlists. Playback quality was quite good. Even though there is just a single speaker on the Touch – music playback is better than most phones. Video quality was excellent on the Touch. Playback could be in Landscape or Portrait mode. Streaming video had a pretty good frame rate over the Sprint 3G network. Video was not choppy and the screen looks great. I love streaming music – it really is ideal to have varied music in lots of varieties available and the Touch allows for that. Sirius is great, the offerings from Sprint music are also great. The only issue I had with Media on the Touch was that occasionally I got connection errors when trying to access Sprint TV. SMS, MMS and IM are all supported on the Touch. Like Email and other functions that required typing – this was somewhat cumbersome. You have all the ‘standard’ methods of input on a Windows Mobile device that uses a stylus but it is still much slower than using a full keyboard messaging device. There is a lot to like about the HTC Touch. The size is great, it feels wonderful in the hand, the screen is gorgeous and their Touch Flo interface is fun and works well. Throw in all the multi-media content from Sprint and this is quite a bit of phone for the money. can be ‘clunky.’ While the HTC Touch Flo is essentially a ‘shell’ that functions on top of Windows Mobile, you won’t be able to escape the Windows Mobile screens. The other thing this phone needs is a full keyboard in order to be a full functioning messaging and email device. HTC has already announced a version of the Touch with a slide out Keyboard – that could be a killer device and compete nicely with the LG Voyager and other phones. 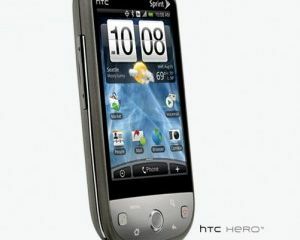 The HTC Touch can be found at www.sprint.com for $249.00 after rebates.